jen.ahn: Happy National Margarita Day!!! That's right this Saturday, February 22 is National Margarita Day. it's really a day. And guess what y'all? My favorite adult beverage is a well made Cadillac Margarita on the rocks. In order to celebrate I thought it might be fun to make two types of margaritas. 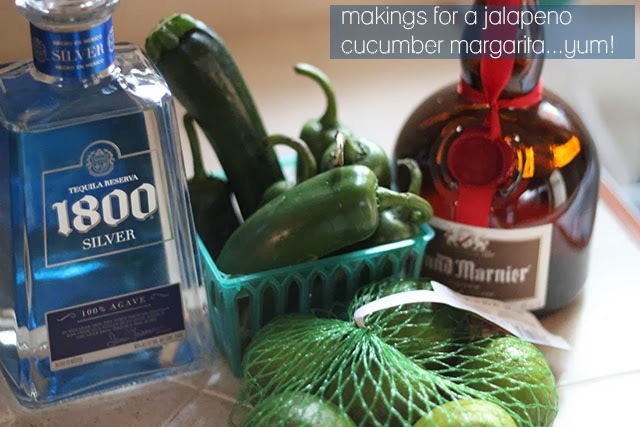 The first will be a Jalapeno Margarita and the other a Lavender. I've never done this before so I won't post a recipe yet since I'll be making it up as I go. Now if I'm successful, I'll post the recipe here on the blog. Hmmm... what the heck, I'll post it regardless then that way you'll know what not to do.